I haven't used the Opera digital mode on HF for a bit as it seemed that interest had dropped off and there is not much point in beaconing in no-one is receiving. It seems to be one of those modes where there is a resurgence of interest whenever there is something new to try. This weekend the new thing was some fast Opera modes for use on VHF so I fired up the K3 on 6m (50.700MHz) to see if I could receive anything. As you can see, not only did I receive some other stations but my own Opera signals were received around the UK. No great DX, but I was only using 20W to my attic dipole and would not expect to hear anything on 6m at this time. If enough people were prepared to use it, this could be a good tool for discovering Sporadic-E openings on the VHF bands. The 30 second transmit cycle seems more appropriate for this type of propagation than WSPR's two minute periods. A couple of weeks ago I came across FreeTrak, a PIC based APRS tracker developed by N0QBH. I have wanted to build a small 'grab-and-go' tracker for a while now. The FoxTrak works fine but is too big and bulky by the time it is paired with an HT. The TH-D72 is too much hassle as I need strong reading glasses to see the LCD screen and inevitably go out with some essential menu option disabled. Consequently these days I rarely bother taking APRS with me when Olga and I go for a walk around town. I sent off for a couple of PIC 16F628A microcontrollers, thinking that I could program them in my EasyPIC5 development board. But when I tried, I immediately hit a snag. My PICFlash programmer detects a PIC 12F508 instead of a PIC 16F628A. I don't think I've been sold a fake MCU. If I remove the 16F628A so there is no micro plugged in at all I still receive the same warning. So I don't know what to do. I've bricked too many PIC chips by programming them with the wrong settings to try crossing my fingers and clicking Yes. So it looks like my FreeTrak project is not going to get off the ground. Yesterday I wrote that I was shelving the Propeller beacon project after discovering that the frequency stability is unacceptabe. Eldon WA0UMH persuaded me to try some tests to identify the cause of the drift. My conclusion is that it is a combination of factors. The major factor causing the drift is the power supply voltage. Whilst developing the beacon using just the Gadget Gangster board I was powering it with a 6V supply - the minimum needed. After adding a PA I needed to increase the supply voltage to 9V. The drift is greater with 9V, regardless of whether the PA is actually connected. If you look down at the Gadget Gangster Propeller USB board there are two SMT chips to the left of the Propeller and its clock crystal which appear to be voltage regulators. There is a 5V regulator a few millimetres to the left of the 10MHz crystal and a 3.3V regulator below it. The greater the supply voltage, the more heat the 5V regulator has to dissipate. Plugging the LCD UI board on top of the Propeller board traps in more of that heat making the drift even worse. This is not the first time I have discovered that voltage regulators and crystal oscillators don't go well together. Whilst it is useful to know what is causing the drift, my discovery has not indicated an easy solution. Either I use a temperature compensated 10MHz crystal oscillator as suggested by one of my readers, or I use the Prop to control an outboard and more stable synthesized oscillator. The first option looks the easiest, but the TCXO is not an inexpensive component. I have decided to shelve the Propeller Beacon project. Actually the project made the decision for itself. Bored with receiving spots for my 250mW WSPR signal on 30m I decided to try 20m where there are almost as many monitors. But after a handful of spots there was nothing. After a while I decided something must be wrong. I checked that the beacon was still transmitting at the right times and it was. So I switched on the K3, ran the WSPR software and the reason for the lack of spots became clear. My signal was drifting the best part of 10Hz in each two minute cycle! When I first ran the beacon on the bare Propeller board I had found the signal to be pretty stable after only a few minutes warm-up. After adding the LCD board - which plugs on top of the Propeller board - I noticed that my 30m transmissions were being quite consistently reported with -3Hz drift. The RF amplifier board with its heatsink is separate from the Propeller board and nowhere near its crystal oscillator. I hypothesized that the LCD board is trapping some heat in, enough to make the master clock oscillator drift. The drift is probably a multiplication factor of the clock frequency so the higher in frequency you go, the worse the drift. Whatever the explanation, the Propeller + LCD combination is not usable as a WSPR beacon as it is. It seems to me that there are two possible solutions. One would be to make my own Propeller processor board with a temperature controlled crystal clock. The other would be to use the Prop to control a Si570 synthesizer or something like that. Unfortunately I don't think either of those solutions are within my capabilities just at the moment. So I'm afraid the beacon project will be going on the shelf. Due to the eventual closure of our website business the server on which my website g4ilo.com runs will be unavailable before long. I am now in the process of moving the site to a standard shared hosting account. It is possible that the site and even my blog may become unreachable or seem to be down during the transition. If this happens, don't worry! For information, my sites are hosted and g4ilo.com will continue to be hosted by HawkHost which I have found to be an absolutely first class hosting service with support staff who really know what they are doing. If you are looking for high quality hosting for your own website I can wholeheartedly recommend them. I've been thinking about buying an Amazon Kindle. But I'm not sure if it will really be useful for what I want or whether it will just end up sitting on a shelf like my Eee PC and other gadgets of the month. I know that the real purpose of the Kindle is for reading electronic books purchased from Amazon.com. However I don't see myself using it for that very much. What I am interested in is reading ham radio and electronics publications that are increasingly being made available in electronic format. Are these magazines viewable on a Kindle or do they use some proprietary format only supported by a special application that needs a PC or Mac? One of the publications I'd probably use it for is CQ, as I'm not sure it is really worth the international postage. Then there is World Radio, which is only available in electronic form, which I have never read due to the inconvenience of having to use a PC to do it. Now ARRL is bringing out an electronic version of QST. I still look forward to the printed magazine landing on the doormat but I do pay quite a premium for that. I'd be interested to learn from Kindle users what formats the device supports. A couple of months ago the back issues of the now defunct 73 magazine and Ham Radio were put online. I downloaded the Kindle application for Windows and was disappointed with the results. The magazines were available in Kindle format but it looked as if they had been badly scanned using an OCR system and half of the content was in Greek! The PDFs were huge files and looked more like a poor quality FAX. The best format appeared to be one called Deja Vue. I downloaded a reader for it. Does the Kindle support that? My eyes might find it easier reading on a device that lets you zoom in and enlarge the font. Does the Kindle let you do that? 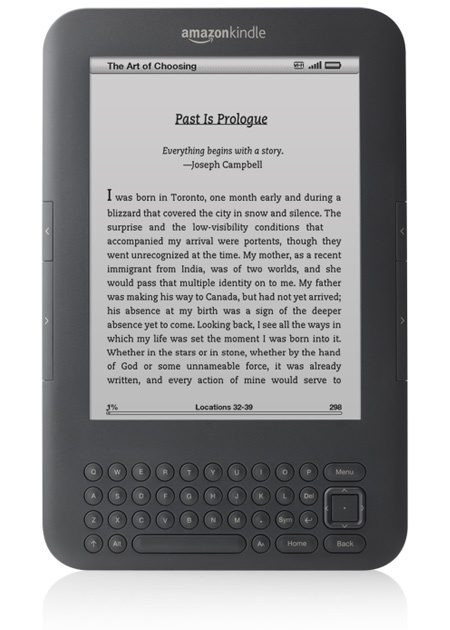 How well does the Kindle support PDF files? I expect I would use it for those a lot. With a Kindle could I read PDFs I've downloaded and stored on a drive on our network or a memory stick? I've often considered, for nostalgic reasons, ordering some electronic back issues of Radio Communication (now RadCom) from the years when I first got interested in ham radio, though so far I have always changed my mind when I see the cost! So over to my readers. Your thoughts on this, if you would be so kind! Everyone who commented to my last post about the lack of output from the Kits and Parts RF amp felt that the problem had to be the QRPer's curse - the toroid inductor. Normally I don't have a problem with toroids, but when they are so small that your thumb obscures the whole core while you are holding it, never mind winding it, they are not the easiest of components to work with. So I gritted my teeth, tried to forget the hour I'd spent yesterday wrestling the thing into position, and yanked it out. One of the wires broke off in the hole leaving nothing to grab on to. I was unable to clear the small plated-through holes in any case. What I was able to do was melt the solder enough to push some bare wire through, creating "pins" that I could solder to. I twisted together the two wires that are connected so I had three ends to solder to the three pins I created. The toroid now stands up on the board a bit but it was easier soldering to the pins than trying to get four thin wires to go through four holes simultaneously. To my joy, on applying power and RF the power meter showed output. I'm getting about 150mW if the amp is supplied with the recommended 8V, and just about 200mW from a 9V supply. That's only about 10dB of gain, a bit less than expected but probably enough given that the Propeller does not generate the purest of signals. The WSPR beacon has already been spotted a few times in Germany. But the 2N5109 runs a bit hot to the touch so I'll have to QRT until the heatsink I ordered arrives. In the meantime I still have the LCD UI board to assemble and play with. 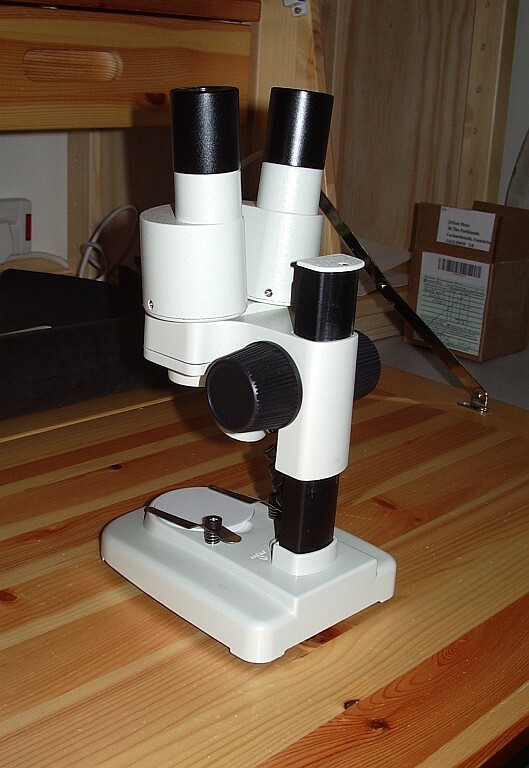 A couple of weeks ago Jeff KO7M wrote that he had acquired a binocular microscope for the workbench to enable him to work with SMT components. Although I have no particular desire to do SMT work at the moment I do have trouble with close-up work due to my eyes' limited focal range and becoming very far-sighted. So I thought a binocular microscope would be a good addition to my workbench too. Jeff wrote that his binocular microscope was not cheap and from the look of it I would imagine the cost ran well into three figures. The one I got was £30 from a firm that disposes of liquidated stock on eBay. I'm sure it isn't as good as the one Jeff got but hopefully it will be useful. If not I can always start another hobby looking at plants and insects or growing bacteria! Yesterday a packet from the USA dropped on to the doormat. 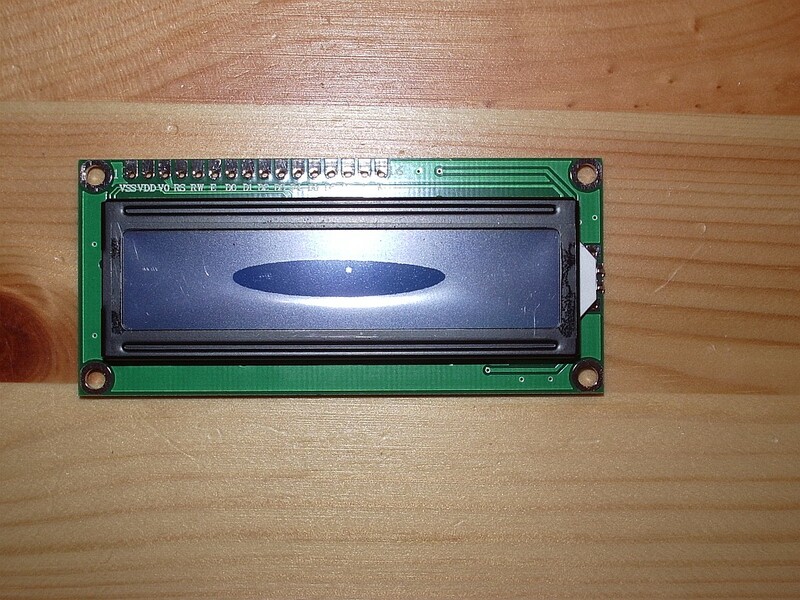 It was the LCD UI module from Gadget Gangster. The cheap international shipping option is pretty quick! On opening the envelope I was taken by surprise as I hadn't realized the module was a kit. But there aren't too many components and they are all through-hole so I should be able to manage it. I will take my time and double check everything to ensure I don't do anything stupid like solder headers on the wrong side of the board. More than a few K2 builders have done that! 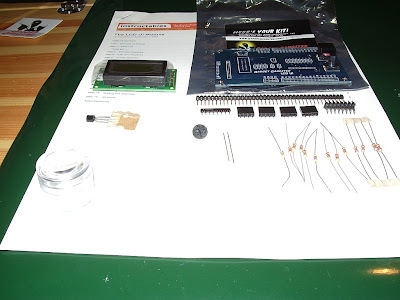 The instructions on the Gadget Gangster website are very comprehensive with several colour photos showing different stages of assembly. But on checking the parts against the parts list I found that I was missing one 2x8-pin header socket. Fortunately I found one (a pack of 2 actually) for a couple of quid from a UK based eBay component supplier so I should have it in a couple of days. 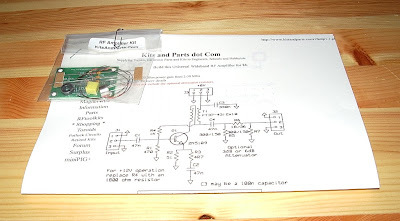 eBay is my main source of electronic components these days as the usual sources like Farnell or Maplin all have hefty minimum order and postage charges that make ordering the single part you need to complete a project quite uneconomic. 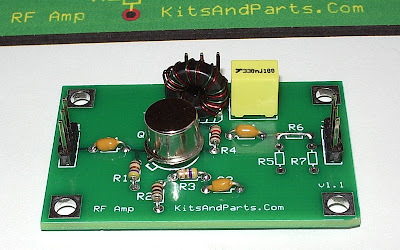 A few days earlier I received another kit from the USA: a QRP RF amplifier from Kits and Parts. I got this with the idea of using it with my Propeller beacon but it is probably too good for that. The beacon really needs only a simple class C amplifier to raise its output to a couple of hundred milliwatts. I had been tempted to go for a couple of watts but whilst WSPRing on 20m today and monitoring the signal on the K2 I noticed a weak in-band spurious around 14.05 MHz which no low-pass filter will eliminate. So it is probably best to stick to QRPp if using the Propeller as an RF source. Another new arrival in the G4ILO shack was a GPS module from Hong Kong. This was used, ex-equipment, and cost about £12 including postage. I'm not sure what I am going to use it for but if I don't put it in the beacon to provide a time reference (and locator) for WSPR it would be interesting to try to make an APRS tracker using the Propeller chip. So many projects! But I am convinced that having this amateur radio hobby to give me so many different and interesting activities is the reason I remain cheerful and positive unlike so many people who have the same health condition and seem to fall into a slough of despond and hopelessness. I may never complete them but at least they give me something to stop me dwelling on darker thoughts. A packet arrived from China this morning containing a 16x2 LCD module which I purchased for the absurd sum of £1.93 including shipping. That wouldn't cover the postage from a UK supplier. I don't know how the Chinese do it and make a profit. I bought the module with the intention of using it to make a user interface for my Parallax Propeller beacon. Having ordered it I was not sure how to interface the LCD to the Propeller so I chickened out and ordered an LCD UI module from Gadget Gangster. This is rather more expensive (though still a reasonable $29.99) but it includes a 4-way + depress button for menu navigation, plus a separate red button. It plugs straight into the Gadget Gangster board. I reasoned that even with the hardware sorted the software would be enough of a challenge. I have rather ambitious plans for this beacon. Perhaps over-ambitious. 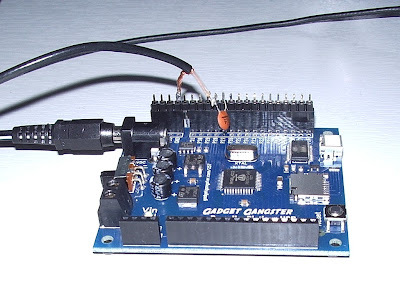 After reading Alex G7KSE's blog post about his Arduino based MSF 60kHz receiver I'm interested in interfacing one of the inexpensive MSF receiver modules to the Propeller. 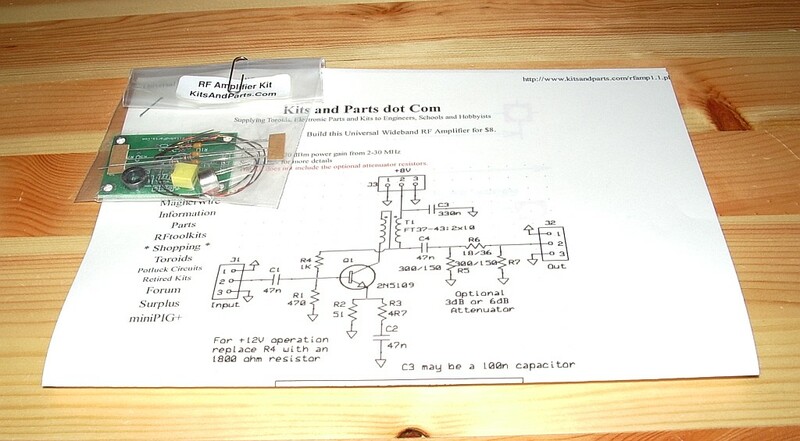 I could use this to display an accurate clock and also to control the start of WSPR beacons. As I'm a bit of an accurate time nut and have two radio controlled clocks in the shack (and a radio controlled watch) it is really no trouble to press a button to start the beacon at the beginning of an even minute and then keep time from there. But that isn't the point really, is it? What could be cooler than a shack clock that is also a WSPR beacon? This microcontroller stuff is new to me and I have a lot to learn about it. 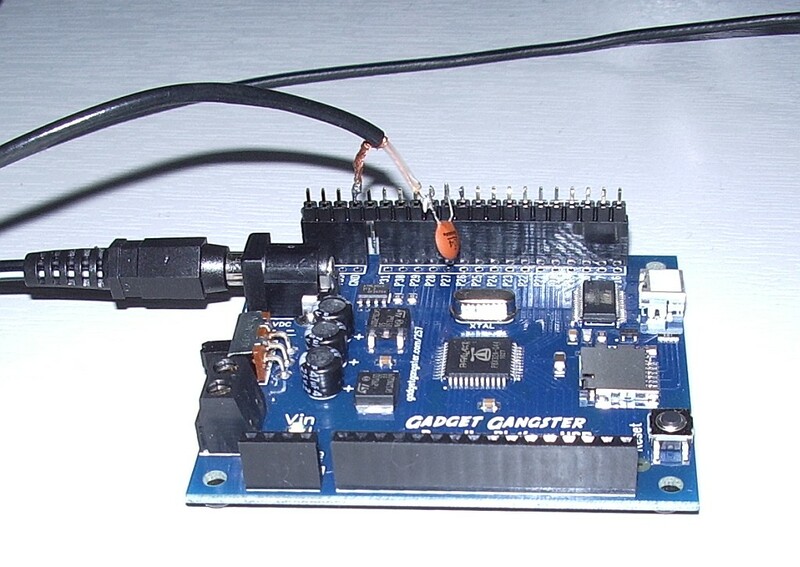 One question I have is what do constructors who use Arduino boards or similar things like the Gadget Gangster do when they want to make a finished project? Do you just buy another development board to use for the next project, or are there simpler boards with just the microcontroller and its essential ancillary components which you use for the final version? I guess I'd still want the ability to update the software (firmware?) so there isn't much of the Propeller Platform board that I wouldn't be using.